India sealed yet another ODI series to dominate their show in the 50-over format. It was their fourth in a row and two successive ones outside the subcontinent. Team India looks like the force to be reckoned with in the upcoming ICC World Cup 2019 starting in England and Wales from May 30 onwards. The visitors fought their way back in the fifth and final one day international against New Zealand to clinch the five-match ODI series 4-1 at the Westpac Stadium in Wellington. What it has done is that the confidence will run high among the squad and there will be a feeling of positivity in knowing that the job can be done away from home. It’s been an important phase in Indian cricket where wins in SENA countries in the limited-overs have become a regular phenomenon. The 5-1 drubbing of South Africa earlier last year kicked off the proceedings. And then victories in Australia and now in New Zealand was a icing on the cake. The only blemish came in England where India lost 2-1 against the number one ranked side in the world. The series against the Kiwis exposed a few weaknesses and also helped the side tick many boxes. This was a crucial learning curve once again. India have another five ODI matches to suffice with ahead of the ICC World Cup 2019. Australia will visit India this month for a five-match ODI series to start with. One main aspect in this series victory was that India got to get a better view regarding the selection of the best 15 players that can go out and thrive in England and Wales. From India’s point of view this was an excellent series victory. Some of the Cricket World Cup spots were cemented. A few performances came under pressure. The bowling grew from strength to strength. So in the end it was a series India would have wanted under their belt. 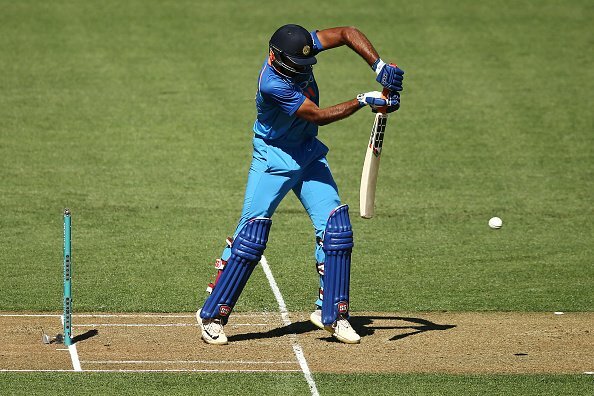 Here we look at the key takeaways from India’s 4-1 ODI series victory against the Kiwis. Indian pacer Mohammed Shami has been instrumental in recent ODI outings. (Image: Twitter @BCCI). The biggest gain for India was regarding the growth of senior pacer Mohammed Shami. 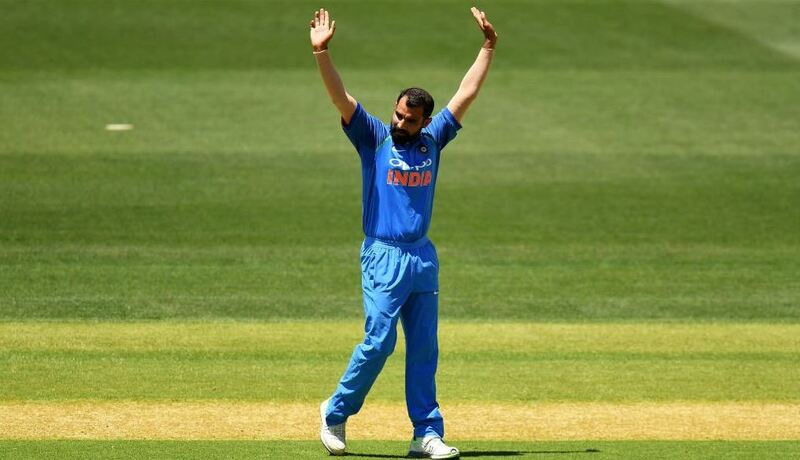 After his heroics in Australia, Shami enhanced his reputation as India’s third pacer for the World Cup. But performances here in New Zealand brings much more. It has changed the scenario. The right-arm cast bowler, who brings a lot to the table, was instrumental in getting the early wickets, in this series. Since his return to the ODI fold against the Aussies last month, Shami has taken an impressive 14 wickets in seven matches. His variations and pace helped his balls skid off the surface to extract more and put the batsmen into trouble early on. India built upon the early breakthroughs with spinners coming into play. What Shami has shown here is that he could actually be starting games in the World Cup. He has raised his stocks and could be turned up to by the management to share the new ball with Jasprit Bumrah. All of a sudden, Shami sees his position get stronger. He can fight for a place in the starting XI against Bhuvneshwar Kumar. Also his exploits in the 2015 edition of the mega tourney could work in his favour. Shami looks leaner and fitter and has earned a reputation as a world class entity at the moment. One major weakness for India to overcome is quality swing at the start. What the Kiwi pacers did in the fourth and fifth ODI was to bank on the swing assistance and put India into trouble. Be it in swingers or the outgoing deliveries, Trent Boult & Co. made life worrisome for India in the middle. The Men in Blue were bowled out for 92 in the fourth ODI in Hamilton after a swing masterclass from Boult. In Wellington, the visitors were pegged back to 18/4 early on. India need to work on the same. It was a feature highlighted by stand-in skipper Rohit Sharma after the fourth match as well. In England, the conditions will aid swing bowling and India cannot afford to lose wickets upfront against quality teams that boast of a sound pace attack. Last year, India went on to lose the series against England 2-1 in conditions that presented opportunities to pacers with swing being a vital factor. One can feel that this is mainly because the Indian batsmen have been playing regularly on flat wickets. Batsmen have got used to the footwork required in these pitches. And then they are not able to move their feet accordingly when the ball starts swinging. This is a reason why India struggled to adjust to swing off late. Ambati Rayudu had a productive series as per his liking. Scores of 13*, 47, 40* and the match-winning 90 in the fifth ODI gave India the satisfaction they would have wanted. His only problem was in the fourth match when he played a nothing shot and threw his wicket away when India were struggling. Now as a senior professional one expected you to learn from mistakes and Rayudu did just the same in the final encounter. It was a fine innings from Rayudu in Wellington. It was crucial to see that he played for the team total at the end rather than just knock the ball around for a century. He played to his strengths and didn’t allow the scoreboard to slow down. This was a positive factor in ticking the number four slot for the World Cup. 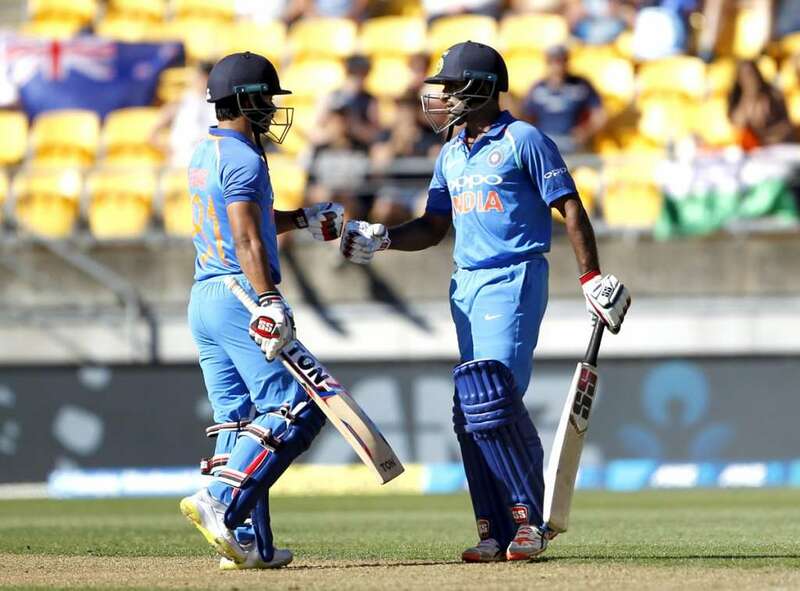 Rayudu’s seniority came to India’s rescue and he thrived in challenging conditions at the Westpac Stadium. That was refreshing to watch. India have been found wanting in this position. Statistics suggest that in last 25 matches, a total of nine players have been experimented. Rayudu will have a final chance in putting a nail in the coffin against the Aussies. A strong outcome there will be of immense help for the veteran cricketer. How crucial is Hardik Pandya? The return of Hardik Pandya was a blessing for the Indian team. He brings just so much to the table. The player had a difficult last few months after an injury followed by the controversy on Koffee With Karan that saw the BCCI suspending him. Therefore, it was a vital performance against the Kiwis and one needs to laud his mental strengths here. His attributes as a bowling all-rounder will be of utmost significance in England. Pandya has the knack of picking up wickets and he does that consistently. In three matches against the Kiwis, Pandya took four wickets and filled the slot for the third pacer in the side. Once cannot forget his 22-ball 45 in the fifth match. This makes him vital as a finisher on a constant basis. He can produce some quick runs with the bat. He has shown his capabilities in the field as well and that adds so much to the side. Pandya’s contributions make him one of the most feared all-rounders in the world at the moment. One will hope that he brings a lot of consistency to the table in England. 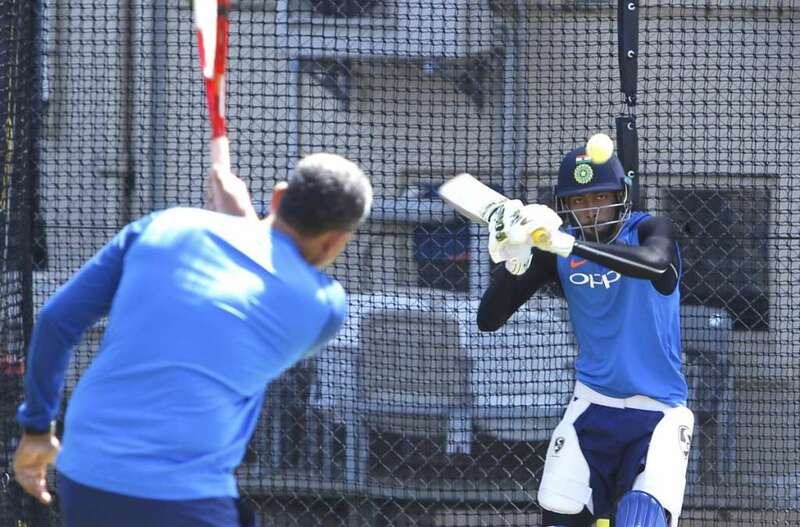 PreviousHow will India manage players’ workload with Cricket World Cup in mind? NextWhere does Rishabh Pant stand in terms of India’s World Cup plans?